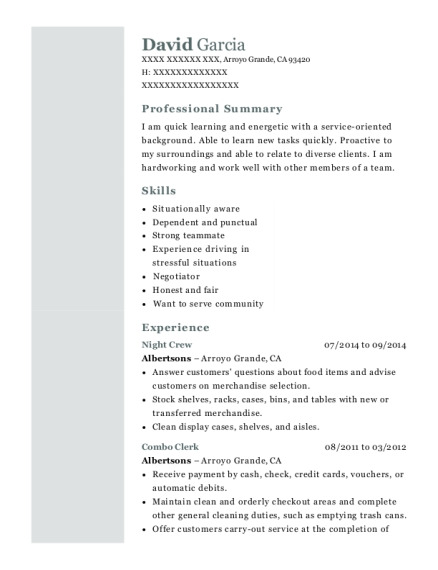 I am quick learning and energetic with a service-oriented background. Able to learn new tasks quickly. Proactive to my surroundings and able to relate to diverse clients. I am hardworking and work well with other members of a team. Answer customers' questions about food items and advise customers on merchandise selection. Maintain clean and orderly checkout areas and complete other general cleaning duties, such as emptying trash cans. Establish work procedures or schedules and keep track of the daily work of staff. 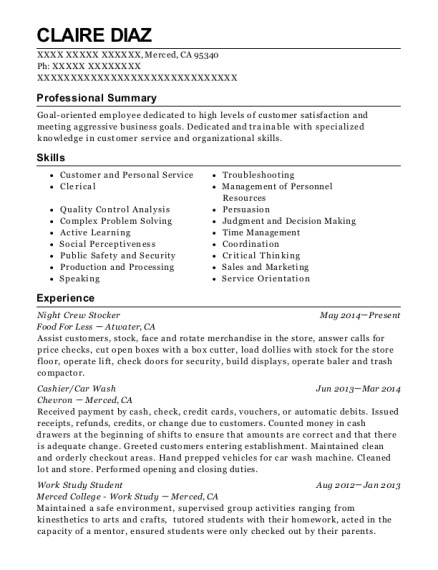 This is a resume for a Night Crew in Arroyo Grande, California with experience working for such companies as Albertsons and Albertsons. 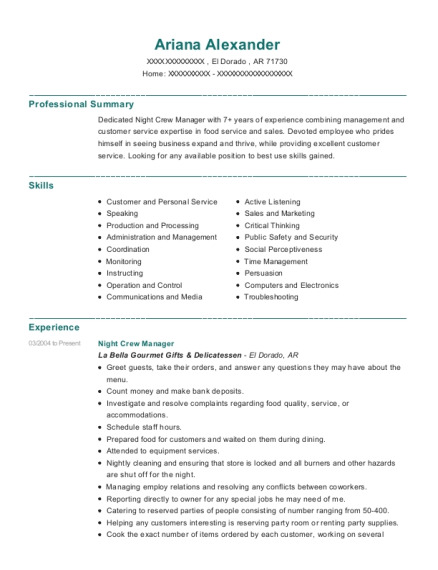 The grade for this resume is 0 and is one of hundreds of Night Crew resumes available on our site for free. 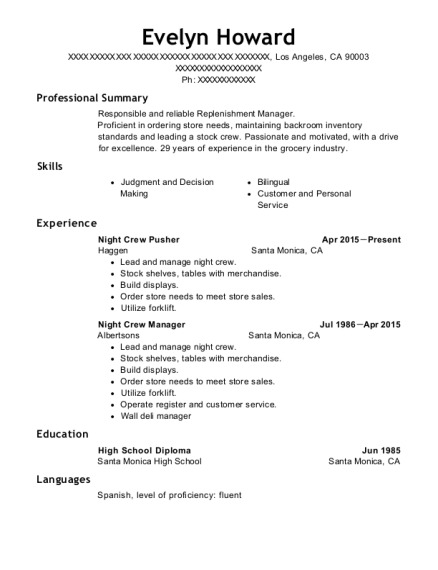 Use these resumes as templates to get help creating the best Night Crew resume.